Do you have a busy life? Always on the go? Let our home delivery service ease up your "to-do" list. Twice weekly we will visit your home or office for pick up and delivery. 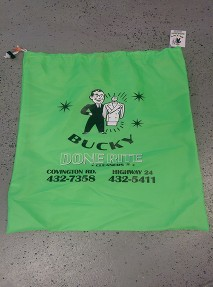 You will be issued an official Bucky Done Rite express bag with your information attached for V.I.P. service. Whether your garments need dry cleaned or your shirts need laundered you can count on us for prompt professional service. New delivery customers will receive 50% off of their first month bill (Maximum $100, not valid for wash & fold). Many billing options are available. 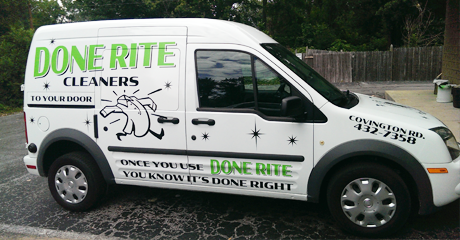 Get Done Rite right to your door. For the past 28 years, our locally owned and operated business has been taking care of you and your dry cleaning and laundry needs.